Respected active loudspeaker expert ATC has launched a new 'desk-top' monitor speaker, designed for both hi-fi and computer audio applications. 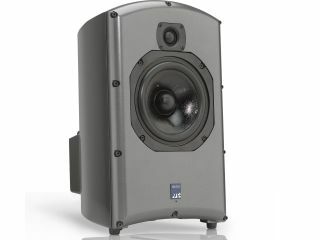 The new SCM16A (£2,203) standmount loudspeaker is described as a robust desk-top monitor designed for stereo and multichannel audio in small to medium-sized rooms. However, as it's active (i.e. it has on-board amplification) ATC is quick to point out that it could be used as "the ultimate MP3 PA system". The SCM16A features a new 25mm soft-dome tweeter with a precision-engineered aluminium faceplate for better dispersion of the high frequencies - so there's less need to sit in the 'sweet spot'. Partnering this is an exclusive new 150mm bass/mid driver using ATC's new Constrained Layer Damping (CLD) technology. This involves two lightweight cones 'sandwiching' a constrained damping layer, which is said to reduce distortion and extend the frequency range. There's also an upgraded on-board amplifier pack, which provides 200 watts to the bass/mid driver and 50 watts to the tweeter. It operates in Class A mode up to 2/3rds of output and is capable of continuous sound pressure levels (SPLs) greater than 108db. Being active, there are also a number of fine-tuning options, which include bass level EQ and high frequency attenuation.